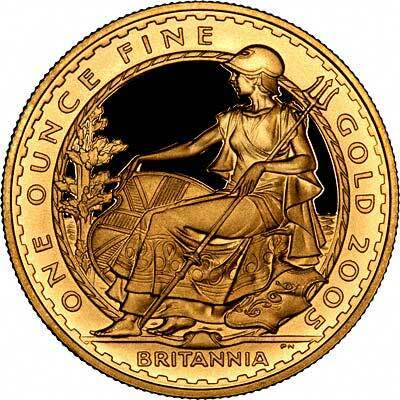 The Royal Mint appear to have established a policy of releasing a new unique design in odd dated alternate years, and the original classic Britannia in even dated years, so we expected the 2005 gold Britannias to be a new and different design. 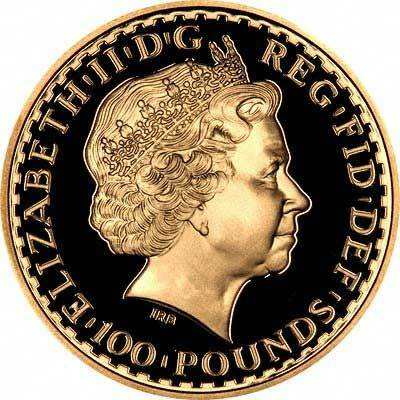 The "Seated Britannia" design, which strikes us as being similar to the original Britannia used on copper coins of 1672, and also that used on Roman coins of Hadrian. For the patient collector, many of the older sets which we offer represent a very good deal as they are at considerable savings compared with purchasing the current year's set direct from the Royal Mint. 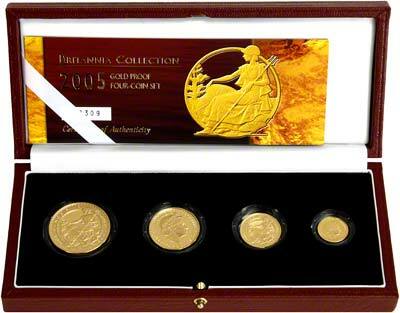 Britannia proof sets have been issued every year since 1987. 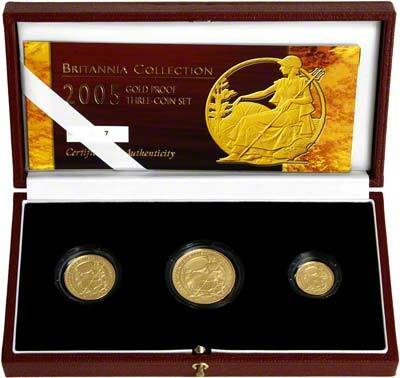 In 2003, the Royal Mint introduced a 3 coin Britannia gold set. Although we had mixed feelings about this, but there is no doubt it will have been attractive to those whose budget doesn't stretch to the complete four coin set. In addition, they may also be bought for christening and other gifts, where the affordable price will make a difference. It was repeated in 2004, contrary to our expectations, it is also being repeated for 2005, but with a much lower issue limit. The 2005 quarter ounce and 2005 tenth ounce gold proof Britannias will also be available separately, also at special advance order prices.